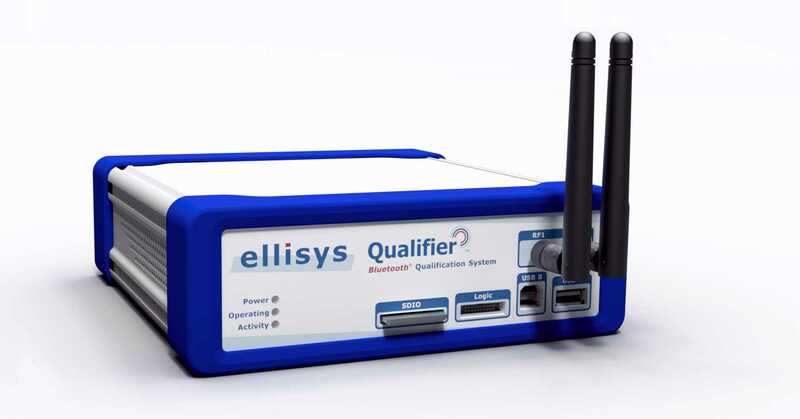 Geneva, Switzerland — April 7, 2016 — Ellisys, a leading provider of USB and Bluetooth® protocol analyzers, testers, and compliance suites announced today that its EBQ™ Bluetooth radio compliance tester has passed several development milestones and will be shipping to early customers in 2H 2016. The EBQ is slated to be an industry standard compliance tester and is based on requirements provided by the Bluetooth Special Interest Group (SIG). The EBQ was formally introduced to the Bluetooth SIG membership gathered for the recent UnPlugFest (UPF 53) in Atlanta, Georgia. Staff from the Bluetooth SIG introduced the EBQ system and outlined its capabilities and status of development milestones to the attending membership during the event’s welcome session. Ellisys engineers were on hand to provide one-on-one live demonstrations of the system’s capabilities to attendees throughout the week-long event. In addition, Ellisys staff included the EBQ system at its booth during the recent Bluetooth World at Levi’s Stadium in Santa Clara, CA, March 15-16. The EBQ is designed to provide comprehensive, automated coverage of protocol and RF qualification tests across the lower layers of the Bluetooth radio stack. The compact design includes a flexible test port that supports UART, USB, and SDIO interfaces. A custom-designed digital radio provides current-generation Bluetooth packet transmission and reception capabilities, and multiple onboard processors are included to provide stack management, test case control, and programming interfaces. The EBQ is smartly designed for extensibility, in that as Bluetooth specifications evolve, the EBQ can be reprogrammed to keep pace, thus delivering a future-proof solution. The control software is designed for development workflows as well as qualification, including detailed logging and sniffer automation. The Bluetooth SIG operates a robust program for qualifying and testing Bluetooth products of every type. Detailed test requirements are provided by the Bluetooth SIG (www.bluetooth.com) as well as a variety of informational resources, a test plan generator, and test tools aimed at helping developers work through the process of qualification. Initial availability of the EBQ will be 2H 2016. For more information contact Ellisys at sales@ellisys.com. Ellisys is a Test and Measurement company committed to the design and timely introduction of advanced protocol analysis solutions for USB and Bluetooth technologies. More information is available on www.ellisys.com. The Bluetooth® word mark and logos are registered trademarks owned by Bluetooth SIG, Inc. and any use of such marks by Ellisys is under license. Ellisys, the Ellisys logo, Better Analysis, USB Explorer are trademarks of Ellisys, and may be registered in some jurisdictions. All other trademarks, product and company names, are the property of their respective owners.